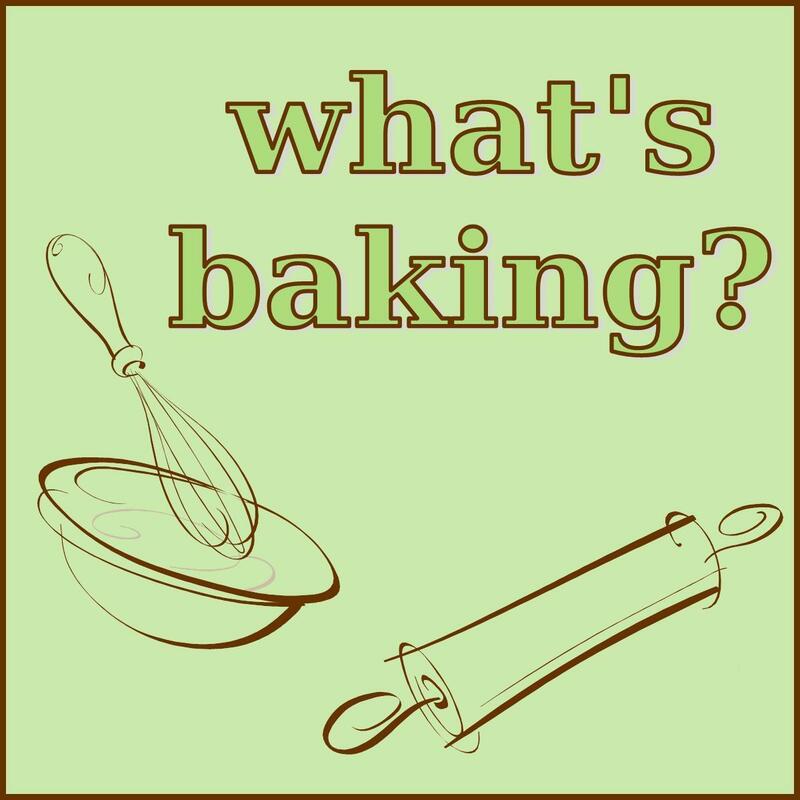 The latest What’s Baking? theme couldn’t be more appropriate for summer: S’mores. I can’t think of any food I associate more with summer fun. To me, they’re closely tied to summer camping trips and buggy nights around a campfire. Little man took his first camping trip this summer and we used it as an opportunity to introduce him to the amazingness of s’mores. Like his parents, he loved them. This s’more pizza captures those classic flavors without the campfire. The broiler even gives it a nice, toasted look. (I never get my marshmallows on the campfire to look like that!) This is a perfect dessert for a summer barbecue or even a winter game night. If you want to check out what other s’more-themed goodies What’s Baking? participants baked up this month, check out the roundup on Joanna’s blog, Kosher Kitchen, soon! In a medium, microwave-safe bowl, melt the butter. Whisk in the sugar until well-combined. Whisk in the egg and vanilla. In another bowl, whisk together the graham cracker crumbs flour, baking soda and salt. Stir the dry ingredients into the wet until well-combined. Press the mixture into a greased pizza pan or a lined springform pan (9-12 inches). Top with 9 oz. of chocolate chips. Dollop marshmallow crème evenly over the chocolate and spread out lightly. Bake for 18 minutes. Remove from oven and turn on the broiler. 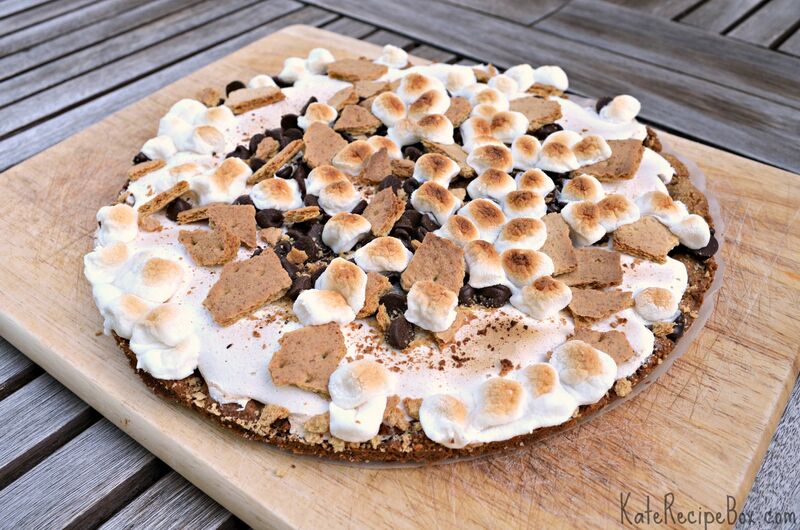 Top the baked pizza with mini marshmallows, remaining chocolate chips and graham cracker pieces. Broil for 1-2 minutes, until marshmallows look toasted. Let cool for several minutes before cutting and serving.